Exercise #23: "Your Publishing Firm"
Assume that you have both endless hours in every day and endless pots of money. Therefore, you could, with the snap of your fingers and no worries, start your own publishing firm. What would you call it? What sort of books would you publish? What sort of image would you project? What would your office look like? What kind of "culture" would your firm have? What sort of people would you have work for you? Who might be your customers? Ooooh, this is an interesting one, and I have unlimited hours and money?? I'm all for that. The types of books we'd publish: While pop fiction is a lovely form of revenue, I simply cannot allow my company to pedal trash to the public. I am not in search of money (because I have endless pots of it) nor fame (because I have absolutely no desire to be a celebrity), so I will focus on books that are not only well written but that say something. None of this Dan Brown, James Patterson crap (If you're a fan, forgive me. To each his own. Just not me.). Being that I won't be that famous in the publishing world, I would most definitely have a chance to read all of the manuscripts sent in to me. Chances are a good portion of the novels sent to me would be utter crap, but I'm positive that some of them would be golden. There's nothing that annoys me more when publishing companies read one page and th en dismiss because the opening line isn't good. The opening line can be altered. I want to read the whole thing and then let loose my judgment. In the end, good books. That's what I'd publish. Good books of all varieties, preferably from unknown authors. The image we'd project: We'd be classy, but not unapproachable, of course. I'd also like to think that we'd have that kind of indie feel, but not that "we hate you because you read Dan Brown, James Patterson, and 'paid-by-the-word' Charles Dickens" sort of feel. A little funkiness, too. Very well-rounded, being that we'll be publishing a large variety of books varying from how-to's to fiction to autobiographies. My office's appearance: My office would be cluttered but somewhat organized. I would know where everything was, at any rate. It would have clean lines and huge windows, looking out to view wherever I was, probably a city. But it would be a good view. With endless pots of cash, I could afford it. My firm's "culture": I'm not sure how to answer this question. It seems like I already answered it under the image section. So... refer to above image section. My firm's employees: The people who worked for me would be very similar to my books. Highly varied (so that I have a lot of different view points) and of superb quality. Not only that, but they all have a strong love of the written word and a very wide base of knowledge. They would also be very well paid thanks to the endless pots of money. 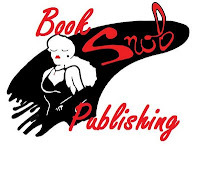 My customers: I would think that my customers would be literary snobs like myself, more concerned with writing well than pumping out book after book after book just to raise a profit. They'd be looking, just like the people in my company, for that next great novel, the one that makes them disappear within its pages, engulfs you in its story with the author's mastery of the English language. Ok, so that was a minute or two more than 5 minutes, but I felt the need to answer all of the questions. So there. That's all I have to say today... for now.